A report evaluating the alarming rise of multi-layered discrimination against Muslims in Europe will form the subject of discussion at the United Nations next week. The report which was the latest in a series by IHRC seeking to document the extent of Islamophobia found a community reeling from the twin effects of racial and religious bigotry. It is IHRC’s second UK-wide report, studying Muslim experiences of hostility and discrimination and issues of anti-Muslim hate crime within the context of an increasingly institutionally Islamophobic environment. It looks beyond racially motivated criminal acts against Muslims and analyses the environment in which discriminatory acts are encouraged and legitimised. The report shows that Islamophobia has evolved into new, accepted forms of discrimination against a particular group whose effects are apparent in all forms of daily life. 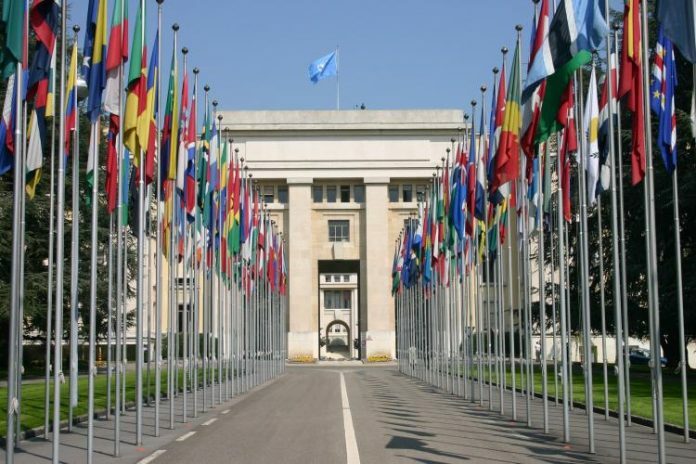 The event in Geneva forms part of a Europe-wide launch of the report and will follow on the heels of a presentation at the European Parliament in Brussels on 27 September. Panel discussions will bring together experts, academics, civil society organisations, EU institutions and European Muslim human rights activists. They will explore how to have an intersectional approach to discrimination and hate crime and how to improve the implementation of non-discrimination legislation. Date: 29 Sep 2016, Time: 13:30 to 15:00, Venue: UN, Palais des Nations, Avenue de la Paix 8-14, 1202 Geneva , Room XXIII, Title: Islamophobia: The Environment of Hate in the UK, Speakers: Arzu Merali (IHRC Head of Research and study co-author) and Abed Choudhury (IHRC Head of Advocacy).